Is it actually possible to turn your hobby into a fulfilling career that gives you enough money to live on? Monetizing your passions could be ideal for you, but there are a number of things you need to take into consideration before you make that jump and set up a business doing something you love. 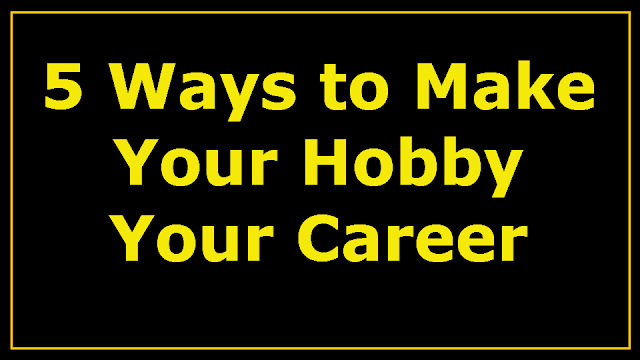 Read on, and you’ll see just what you need to think about and whether or not turning your hobby into a business is something that will work for you. No matter what business you want to start, or what hobby it initially stems from, it needs to help people in some way. A business that has no value when it comes to helping people will not get very far. Richard Branson, world-renowned and successful entrepreneur once said; “A business is simply an idea to make other people’s lives better,” and this is exactly what you need to have in mind when you are contemplating turning your hobby into a business. Therefore, you may need to think laterally when it comes to what kind of business to start up. If you enjoy using hemp products and feel they are misunderstood, you could become a budtender, and you can read more about this here. If you love to paint, you could start a business that teaches other people how to paint too, or that helps those with disabilities gain more out of life. You might love to cycle or run; why not start a local leafleting company, which would enable you to combine your hobby with a way to make money and help people at the same time? Once you have your idea and the thought of being able to do what you love all day every day (and get paid for it) starts to appeal, it can be sorely tempting to jump right into that new business, rushing through the start up and set up phase and offering your products and services to the world. If you can work your day job whilst setting up your new business, you can have a guaranteed income each month, and you can see whether your new ideas is going to take off. This gives you a safety net that you can fall back on should you need to. Family and friends should be at the top of your list because you will be more able to talk about your ideas freely. Not only might you come away with some additional help, but you will also have gained some confidence in speaking about your business idea. Once you have this confidence you can move on to ‘friends of friends’; these are the people that your friends know and can introduce you to but that you had never met before. Colleagues are another useful source of help, especially if you already know what their skill sets are, but remember that you might not want some people (such as your boss) know about your new business venture, so be wary of who you speak to. Strangers can also be extremely helpful. In order to find these people, you should attend networking events to discuss your business and talk to as many attendees as possible. You never know who you might meet, and you could even come away with brand new ideas and avenues to explore. Making a business plan is not everyone’s idea of a fun time, but if you are serious about what you are doing, and you want to be able to attract investors at a future date, or you might want to consider a loan to boost your business further, the business plan is what will help you. This is what anyone who might be thinking of lending your money for your business will want to see; they need to know that they will get their money back (plus a good return) as far as it is possible to know anything like this in business. A business plan isn’t just about money though. It’s also about giving you a roadmap of where you want to go and how to get there. Starting small is a good idea as we’ve already mentioned, but you won’t want to stay small – you will need to know just how you are going to grow so that you can follow the plan and become successful. Even if you don’t intend to grow just yet, or you’re not thinking of borrowing any money, writing a business plan is a good exercise to complete as it will leave you with a better idea of what you need to do. Will You Still Love It Tomorrow? Something that some entrepreneurs fail to think of whether turning their hobby into a business means that they will fall out of love with what they currently enjoy doing the most. Once you factor in marketing and customers and money and the amount of work you will need to put into the business, it might be that you wish you had done something else and kept your hobby as just that; a hobby. Not everyone will feel like that; many people are very happy to turn their hobby into a career, and they never regret it. However, if there is even the slightest chance that you might become bored, or you realize that it was a mistake, it’s always good to have a backup plan just in case.